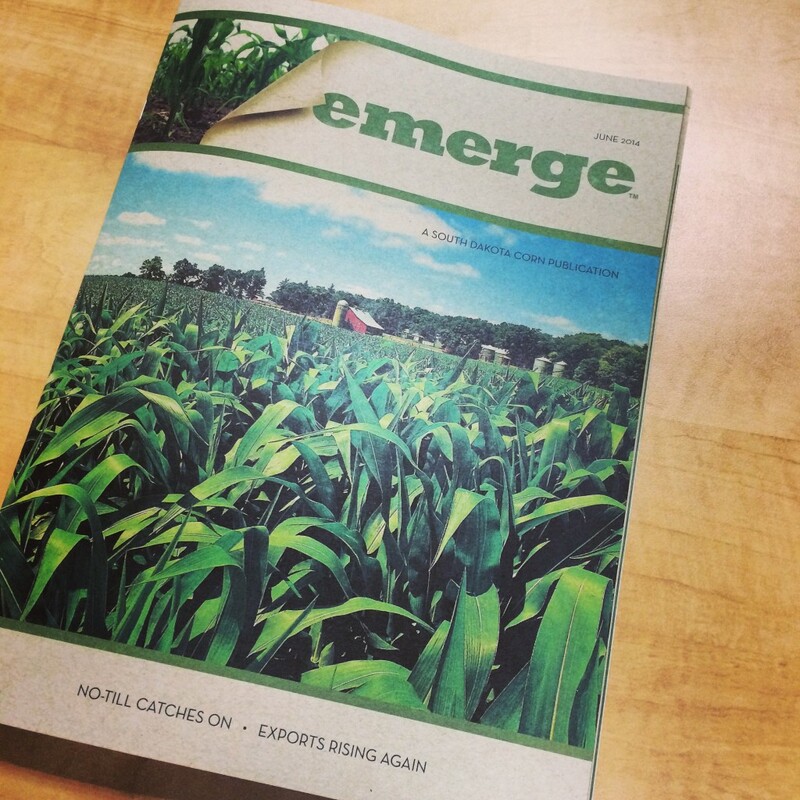 The new issue of South Dakota Corn’s magazine EMERGE hits mailboxes this week. Inside you will find articles about the adoption of no-till cropping systems, information about the EPA’s proposed Waters of the Untied States rule, increased demands from export markets, biotech concerns in China, an update from SDSU on their study of saline soils, helpful mobile farm apps, farm program decisions and much, much more. This entry was posted in News and tagged corn, emerge, South Dakota.